Have you ever considered paying off the mortgage on your home in two biweekly payments rather than one monthly payment? It might seem like this wouldn’t make a difference, but the truth is that biweekly payments really do add up more quickly. Since there are 52 weeks in a year you will end up making 26 payments in total – which is equal to 13 months rather than 12. This means that your mortgage will be paid off more quickly and you will save money on interest payments in the long run. This arrangement might be the best for you when it comes to paying off your mortgage quickly and saving money, but it’s important to consider the possible disadvantages before you make the decision. Often lenders do not offer biweekly services free of charge. You will be required to pay a registration fee as well as paying biweekly charges. If your budget doesn’t allow the room to pay more toward your mortgage every year, this could be a foolish move. Don’t neglect the importance of having an emergency savings fund or paying your bills. If you have your mortgage payment set up via direct debit from your bank account, taking out a payment every two weeks could catch you out if the funds are not there, especially if you are only paid once per month. This would result in charges for insufficient funds from both your lender and your bank. Some people find that paying their mortgage biweekly fits better into their budget because it’s easier to plan for a smaller payment amount – especially if they are paid every two weeks. By shaving years off the length of your mortgage, you are reducing the amount of money you will pay over the long run. You will also be speeding up the time it takes to build equity in your home. You will be compelled to make an extra mortgage payment per year, enforcing good habits on yourself that will eventually pay off. These are just a few factors to consider before deciding whether you should make biweekly payments on your mortgage. If you don’t want to commit to biweekly payments on your home mortgage, you can always save up your money and make a lump sum payment at the end of the year. 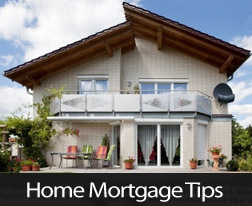 For more tips and advice, feel free to reach out to your trusted mortgage professional today.